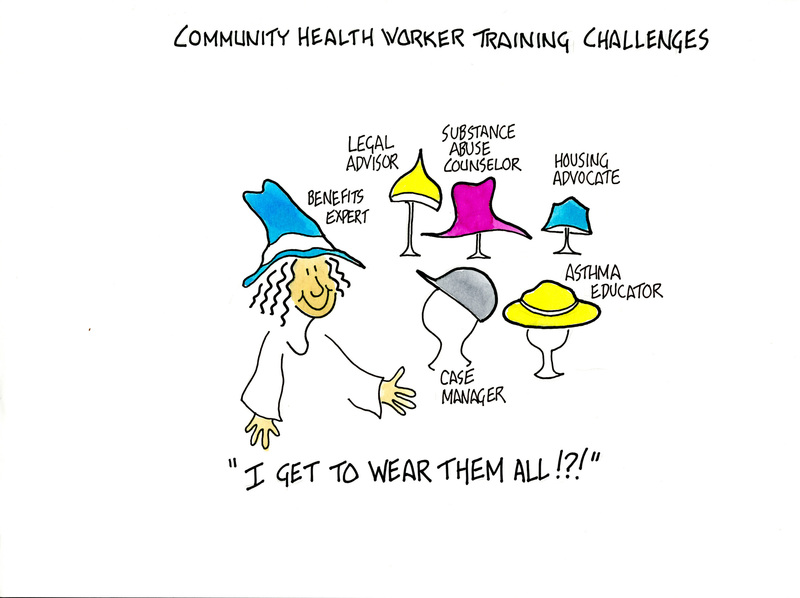 Created in 2000 by Ted Outwater, then associate director and environmental specialist for Hunter College's Center for Occupational and Environmental Health (COEH), these illustrations reflect some of the challenges that faced community health workers. 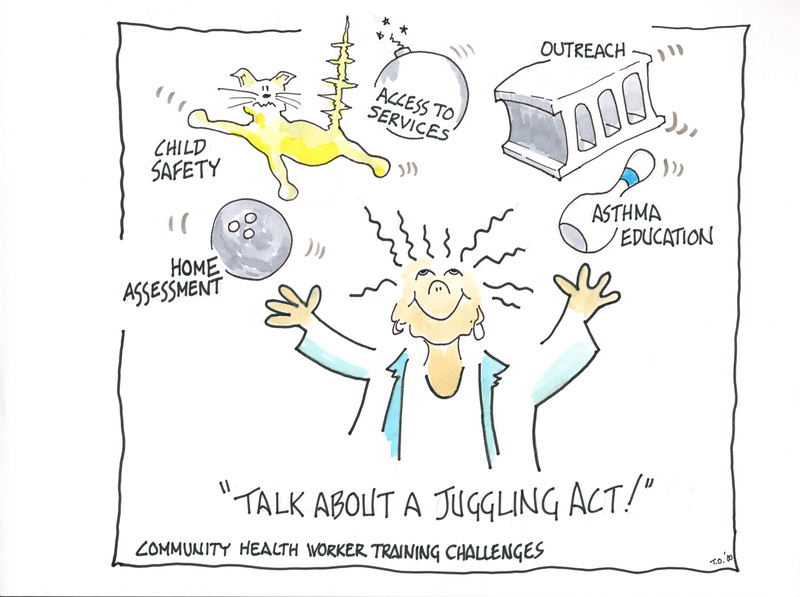 One of COEH's major initiatives, the Community Health Worker Training Program recruited local residents from New York City neighborhoods for an extensive 350-hour curriculum that educated participants on the topic of asthma, its management, assessment, and remediation. 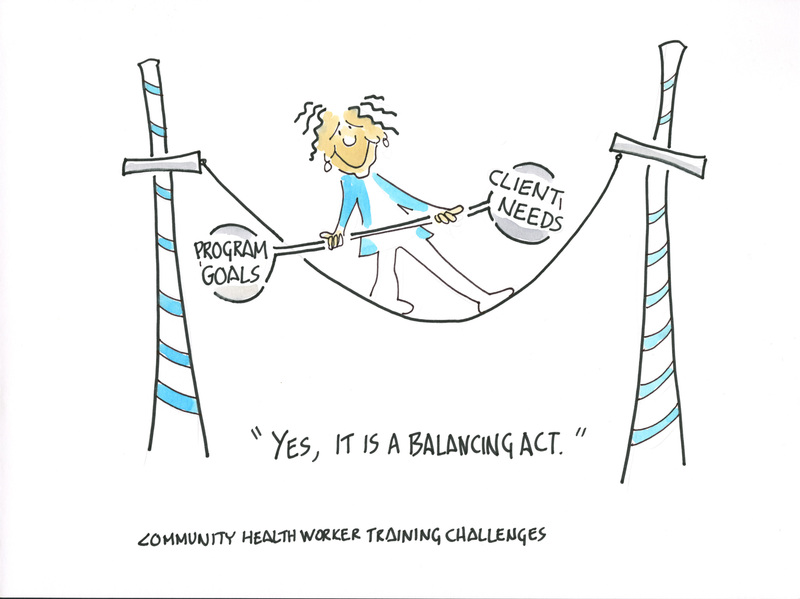 Following their training, these health workers where entrusted with providing outreach to their communities, serving as a "vital link between health care providers, community organizations, and the communities they serve." 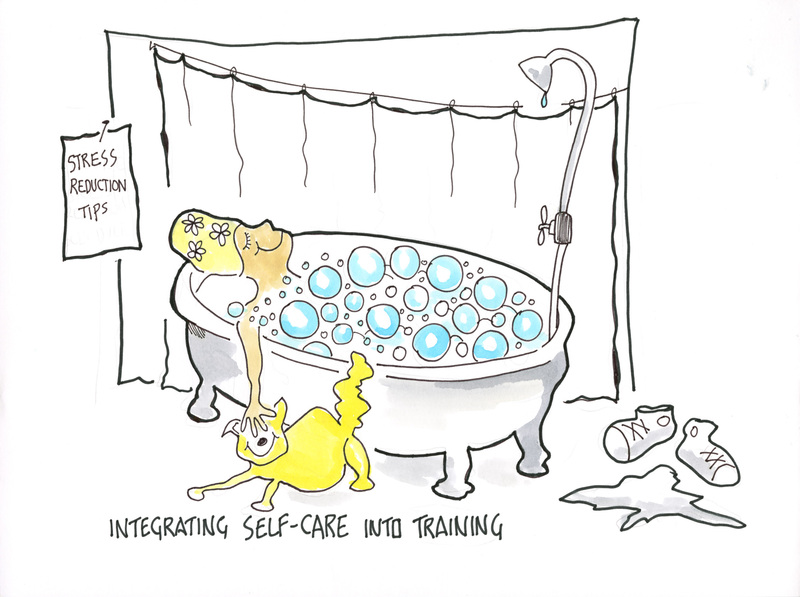 In April 2000, the program commenced with an initial class of 15 health workers from a variety of community groups. Officially founded in 1990, the COEH spent decades dedicating itself to promoting community and workplace health throughout the New York area. It did so by offering courses on topics ranging from asthma to ergonomics for unions, neighborhood groups, public employees, and more. 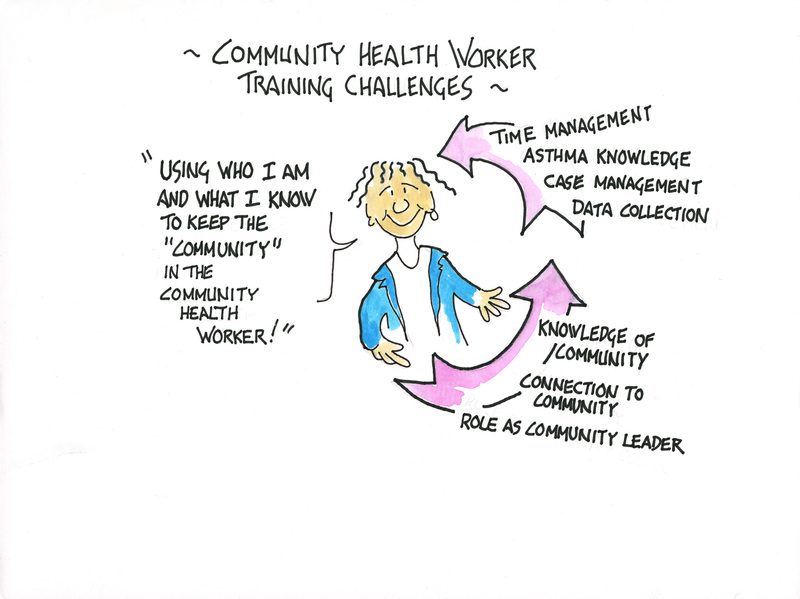 Cite This document | Outwater, Ted, “Community Health Worker Training Artwork,” CUNY Digital History Archive, accessed April 26, 2019, http://cdha.cuny.edu/items/show/7602.